J. Carney: We both grew up in the ‘80’s, so that was Michael Jackson and Madonna, though, it was all about classic rock and roll for me. I wasn’t really focused on dress or style. I wore whatever t-shirt I grabbed on the way out the door. Overall, my public high school experience was quite different from what you all have at Thacher — about an hour of homework each night, two on a busy night. M. Carney: I went to three different schools, and they were all different. I went to boarding school (Exeter) in the middle of my junior year. It was huge and different than anything I had experienced before, but the people were great overall and I felt at home pretty quickly. I loved dorm life. I can remember staying up late making mixed tapes with songs by Crosby, Stills, and Nash, James Taylor, and, of course, Bruce Springsteen. My friends and I also loved songs like “Bust a Move” and “Joy and Pain.” I remember laughing all the time. M. Carney: I had been a gymnast for 10 years, but I stopped when I began high school. I ended up trying a bunch of different sports — I ran, rowed crew at one point, and played some JV basketball. (My basketball skills: sadly, not impressive.) I loved photography at Exeter. J. Carney: I played competitive soccer and basketball for years. Sports of all kind were a huge part of my childhood. I also had plenty of odd jobs during high school from scooping ice cream to mowing lawns to working at the 16-pump Mobil Mart in town! J. Carney: Not initially, especially since I didn’t have many close relationships with teachers as a student. But once I graduated college I became drawn to the profession. I had a handful of people that I respected suggest that they thought I had the right temperament for the profession. My high school experience (the good and the bad) has helped inform me about what approaches work in the classroom. I always try to consider the students’ point of view when I plan my lessons. M. Carney: My parents were teachers, so that life was what I knew; plus, I always liked my teachers and loved my dorm head at boarding school. I thought about other options in college, but a teaching opportunity came up after I graduated and everything just went from there. M. Carney: I had a lot of crushes my freshman year on guys my parents never would have let me date, which was fine. It was fun to just have crushes. Later I dated on and off, but nothing too serious. I dated a guy at summer camp and we ended up writing letters to each other for a long time. Yes, letters. That’s how old I am. I remember that boys would make and give mixed tapes to reach out. J. Carney: I made a few mixed tapes. J. Carney: Do your history homework. Get back on defense. Call your family every now and again. M. Carney: Build others up and be happy for their successes — and spend time with people who do the same for you. Bring good energy to whatever you do. And don’t let anyone give you a home perm. 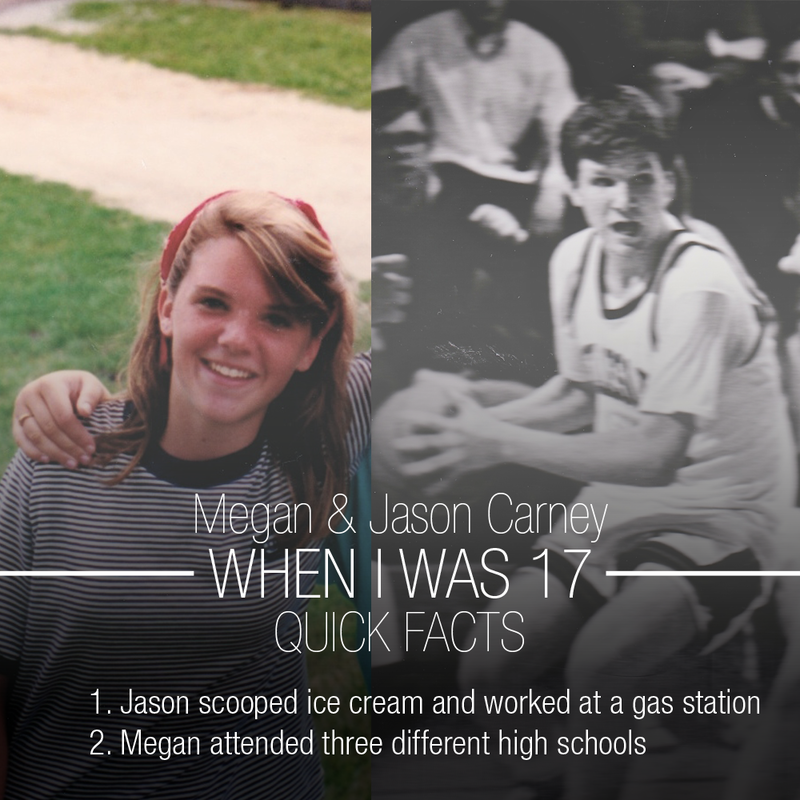 M. Carney: My sister gave me a perm when I was in 10th grade. I also did a little hairspray/comb teasing of the bangs. Great combo. Otherwise, I think I did okay with my high school style. The worst for me were the middle school years. That was when girls wore jelly shoes and leg warmers and lots of neon, boys wore parachute pants, and I had a Princess Diana cut. Yeah, not the best look.